What services does Hicks Landscape Contractors offer? Will Hicks Landscape come to my home for free estimates? What is the best time of year for a landscape installation? How can I get rid of crabgrass? Should I aerate my lawn? How often? What types of plants are best for my hedge? How can I protect my landscape from pests? Why should I choose Hicks Landscape Contractors? How do I get started with Hicks Landscape Contractors? Hicks Landscape Contractors offers commercial and residential landscaping services, including lawn, garden, plant, and hardscape design and installation. We also create and install water drainage and irrigation systems, as well as many outdoor lighting systems. Hicks Landscape offers year-round lawn maintenance services including pruning, mowing, winterization, etc. Check out our Photo Gallery to view specific examples of our completed services. 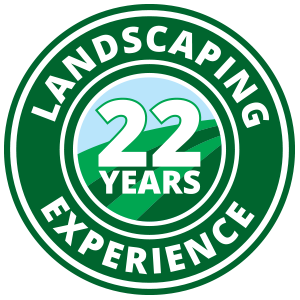 Yes, a Hicks Landscape professional will come to your home to discuss your specific wants and needs for your lawn. When is the best time of year for a landscape installation? It is generally agreed that fall and spring are the best seasons to plant. These allow for the best opportunities for maximum growth for newly planted seeds and bulbs. Summer and winter months are not ideal for landscape installation, but lawns still need regular watering during these months to ensure proper growth. Mowing a lawn approximately once a week will keep it short, clean, and beautiful. Applying a pre-emergent in spring will help prevent crabgrass from germinating and taking over your lawn in the following seasons. There is an easy formula to follow : 10gallons/inch/week. Adult trees require ten gallons of water, per inch in diameter, per week. Remember to water trees even in winter, as colder weather can cause trees to quickly dry out and die. Water younger trees especially often. Every lawn will be benefited from regular aerating. We recommend having this process done at least once a year. Hicks Landscape has a variety of hedge tree options. We can suggest the best type for you based on your height and maintenance preferences. Pests can potentially eat almost every kind of plant in a landscape, although they do have their preferences. Repellents and traps can be used to deter most pests, although some are harder to keep away than others. Hicks Landscape is experienced at removing all pests native to the Southern U.S.
Hicks Landscape has been designing and installing hardscapes, patios, gardens, etc for over 13 years. Please visit our Customer Testimonial and Photo Gallery pages to see examples of our work, and to hear what our customers have to say. Please submit a Request a Quote form to get started in scheduling your free estimate and beginning your home's transformation.